I managed to get focus on this guy in flight as he was about to land. I cropped it down to a wide format to get rid of the snow bank that was in the shot above him. It was a little distracting having a bright band of white at the top of the image so I think it works better like this. 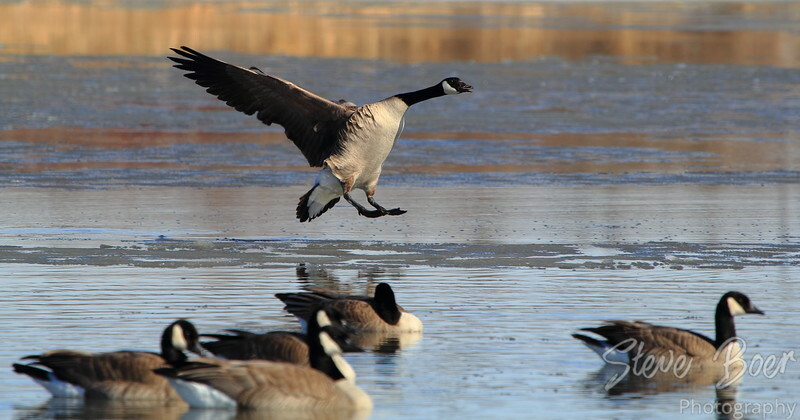 ← The geese are back again!